Visitors spent about $353 million in Rockford and Winnebago County during 2016, accounting for creating or sustaining 2,888 jobs with $85.51 million in payroll, according to a recent report by Rockford Area Convention & Visitors Bureau. The study also found tourist spending generated $6.23 million in local tax receipts and $19.02 million in state taxes. Tourism in Winnebago County has grown 39 percent since 2009, the fastest rate among major counties in Illinois. 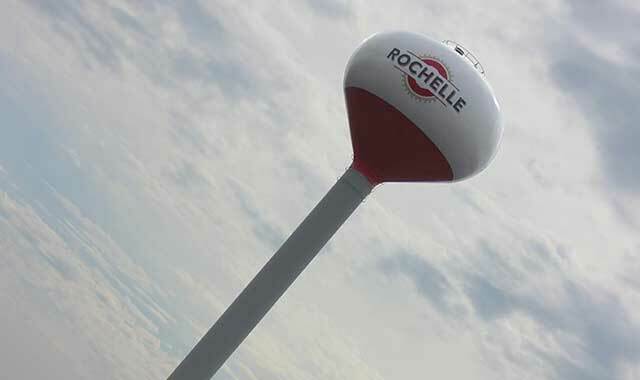 The City of Rochelle has completed a new, $5 million, 750,000-gallon water tower in the city’s southwest region. Built with an elevated storage tank, well house, pump and water main, the new tower is expected to help satisfy the demand for more than 3 million gallons of water a day in the city’s southern industrial corridor. Ipsen, a Cherry Valley, Ill., specialist in thermal processing technologies, has begun offering $50,000 credits to firms that trade in their heat-treating furnace for the company’s new TITAN vacuum furnace. This July, Ipsen shipped a TITAN H6 vacuum furnace to Diamond Heat Treat in Rockford, a specialist in heat treating. Beloit-based Broaster Company, a manufacturer of pressure fryers and a licensed branded food program, will soon be served in Chicago’s Union Station along one of three 8-foot counter-style restaurants. It’ll be joined by makers of sandwiches and pizzas. Foreign Trade Zone #176, which operates out of Chicago Rockford International Airport, handled $13 million in exports during 2016, according to data recently released by Rockford Area Economic Development Council. Foreign Trade Zones across the U.S. handle about $84 billion of exports every year. Comply365, a Beloit-based provider of mobile-first, enterprise content management software solutions for the aviation industry, has received a strategic growth investment from Luminate Capital Partners, a private equity firm based in San Francisco. Leaders in Boone County have launched the early stages of a Boone County Comprehensive Plan, a 10-year plan aimed to guide local decisions in areas including land use, housing, education, transportation, recreation, conservation and historic preservation. Community members are invited to several related workshops being held through the summer and into October. Astro-Physics, a Loves Park, Ill., producer of telescopes and related accessories, has released its latest AP V2 ASCOM Driver and APCC software for astronomical photography and viewing. Textron company Greenlee has introduced its G6 Turbo puller, a 120-volt AC drive motor capable of pulling 6,000 pounds of maximum force. The tool is expected to improve speed and efficiency for electrical contractors. Greenlee also has introduced its C3 Auto Whip clad cable cutting machine, an automated solution for notching and cutting certain kinds of cable. The touchscreen interface allows operators to quickly identify cable size, type and whip length; the enclosed saw housing improves worker safety. ABC Supply, a Beloit-based distributor of external building products, has acquired Capstone Supply LLC, a Columbus, Ohio, distributor of external building supplies. The company recently promoted 25 branch managers to managing partner and opened new locations in Elgin, Ill.; Burleson, Texas; and Bowling Green, Ky.
Regal Beloit Corporation, a Beloit manufacturer of electric motors, motion controls and power generation and transmission products, has received a Dealer Design Award from ACHR News for the UlteMAX axial integral horsepower motor. Winners were chosen by a panel of independent HVAC contractors. This is the second award given this year to the UlteMAX, a motor that’s half the weight and size of its traditional counterparts. Foresight Financial Group, a bank holding company with ownership of six Illinois banks, has announced it will create a new corporate office in Winnebago, Ill., at U.S. Route 20 and Winnebago Road. The new, 8,200 square-foot office will be in the same strip mall as German State Bank, one of Foresight’s subsidiaries. Foresight also owns State Bank of Davis, Lena State Bank, State Bank in Freeport, Northwest Bank of Rockford and State Bank of Herscher, located near Kankakee. Rockford Systems LLC, a specialist in machine safeguarding solutions for industrial machinery, will hold an open house on Oct. 6, during National Manufacturing Day, a nationwide celebration of advanced manufacturing. Rockford Systems plans to hold demonstrations, networking opportunities and activities aimed at students and educators. PCI Clinical Services, an international specialist in medical packaging with locations in Rockford and Woodstock, has launched its FastTrack program for expedited clinical packaging, labeling and distribution, of the type commonly used during investigational studies. FastTrack maintains specific operating procedures and workflows aimed at streamlining product delivery and reducing wait times. 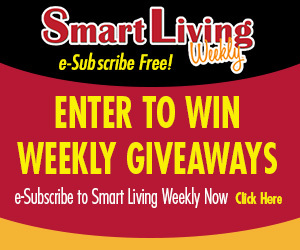 This entry was posted on Thursday, August 24th, 2017 at 11:56 am	and is filed under Northwest Business Magazine. You can follow any responses to this entry through the RSS 2.0 feed. Both comments and pings are currently closed.